PVSCB - Pole Vault Safety Certifiation Board. Jan Johnson's National Safety Certification. WA Coaches Ceritification - Clinic dates can be found here. Certification can also be obtained at any of Tim Reilly's Camps. PVSafe - Pole vault safety website sponsored by Gill Athletics. 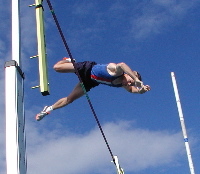 VaultforLife - Pole Vault site sponsored by Kevin Dare's father. PVEI - Pole Vault Education Initiative. 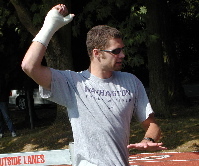 Great site that is regularly updated with articles to educate the coach and vaulter alike. 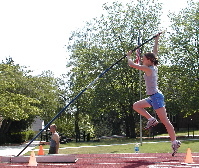 PoleVaultEducation.org - Pole Vault Education website sponsored by UCS/Spirit. Great looking site, hopefully it will be updated soon! NFHS Links to Education Sites - Links to other sites and resources. Pole Vault Power Message Boards - Tons of articles get posted on the message boards! Pole Vault Pit - You can post articles and news here as well. Skyjumpers - Articles byJan Johnson, the National Pole Vault Safety Chair. Vaultstuff Articles - Dean has a lot of great articles posted here. NeoVault Articles - Sean has been known to occasionally post an article or two.